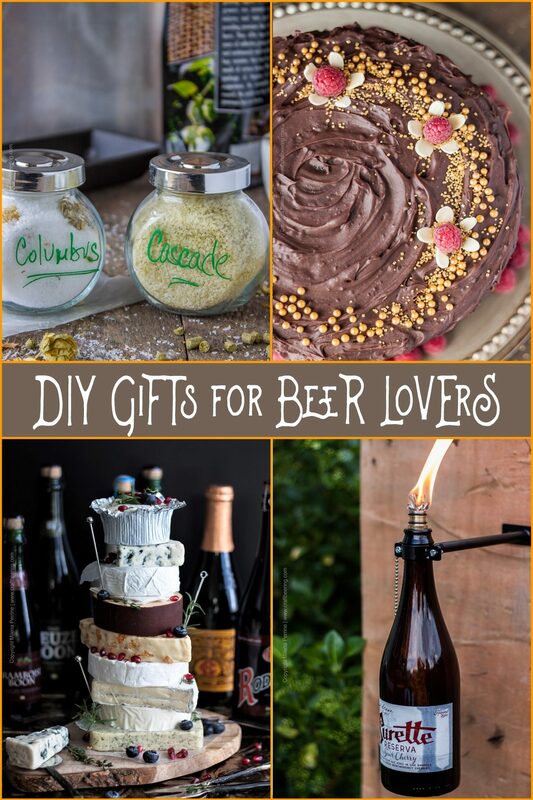 A round up of easy DIY gifts for beer lovers. Because a dose of personal touch always makes a gift stand out (at a minimum:) and is usually appreciated, right? 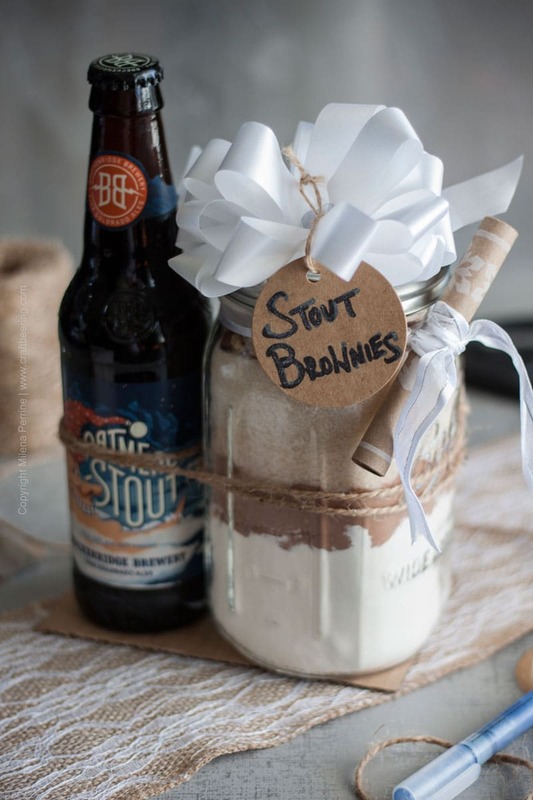 Here are several ideas for craft beer themed gifts you can make yourself. This is a very fun idea! You can go one of two routes. Number one – purchase a good, big bottle of craft beer, something rare that the recipient is likely to want to keep a reminder of. Then, purchase the hardware needed to assemble a mountable beer bottle tiki torch. Don’t forget the fuel. They can enjoy the beer and then re-purpose that special bottle. 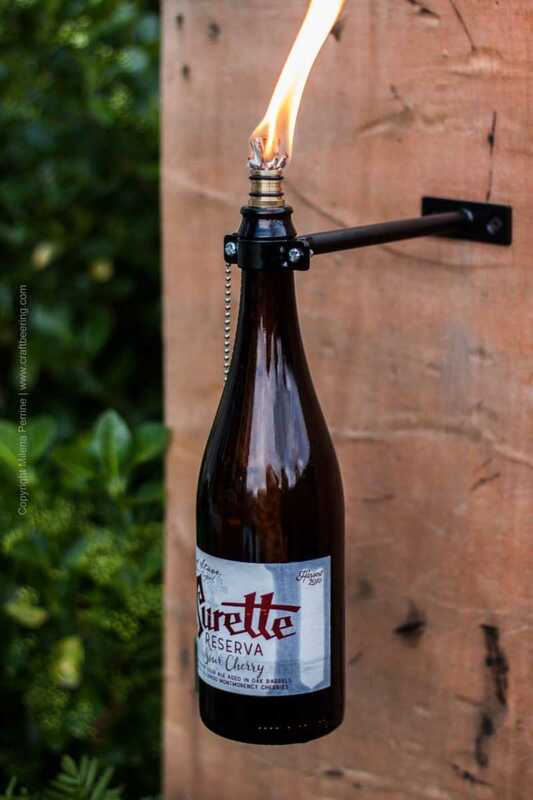 Or, number two – decorate a few empty beer bottles (you can spray paint them first) and buy the hardware and fuel needed to convert them into an outdoor beer bottle tiki centerpiece like this one. Pretty impactful gift, I promise. It doesn’t have to be their birthday for you to give them a beer cake, but if it is, the cake you made is going to be the one that they remember. Said cake can be a real cake with beer in it – if you’ve got baking talents use them – here is a customizable recipe or it can be a beer can cake. 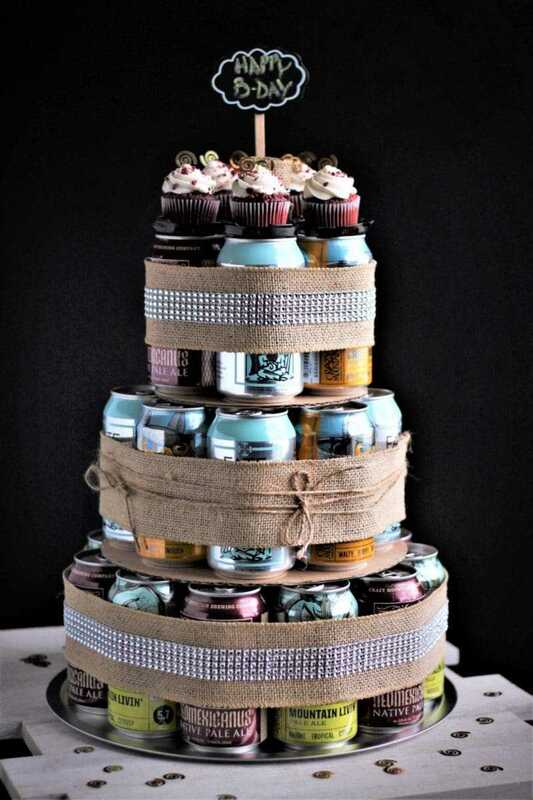 Making a beer can cake is as easy as going to a liquor store with a well curated craft beer selection, choosing a couple of dozen beer cans and assembling something like this. The level of fascination among craft beer lovers with ever evolving hops varietals is unbelievable. Every few years new hops take center stage and generate large numbers of raving hop head fans. Mix them a set of hops salts! Do not be afraid if you are not well-versed in hops selection. Simply stop by a local home brew supply store, explain what you need to do and ask for advice on hops. They will carry a bunch of them – from classics like Cascade to trendy new ones. Purchase the smallest amounts sold (more than plenty to make salt, plus they are not expensive), buy a bunch of kosher salt and tight lid jars and get to work. Alternatively, make some hops salt and use it to create these hops salted chocolate covered pretzels, hops salted roasted nuts, or a jar of hops salted caramel sauce. 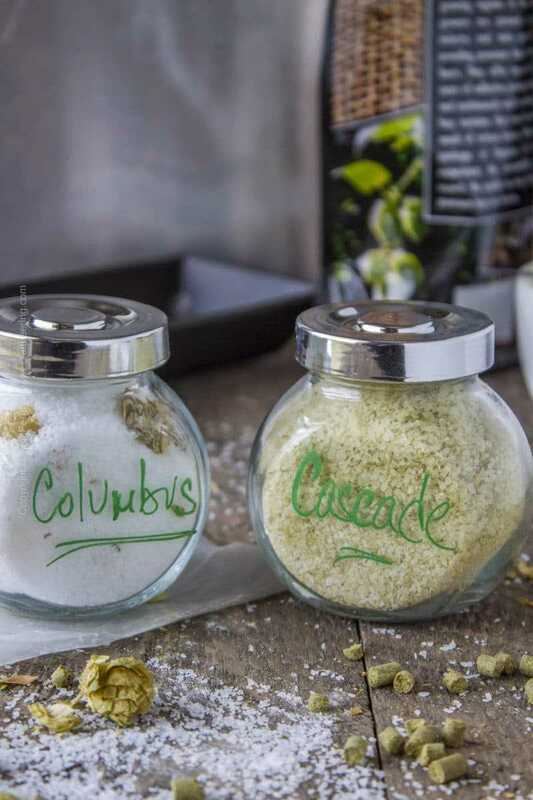 Or gift the hops salt and include several recipes on applications (we constantly add new ones to this site, so you can also search ‘hops salted’ here to locate some). Or simply buy a few popcorn bags and bundle them with the hops salt:) They will figure out what do! Speaking of jars, this stout brownies mix is always received with great enthusiasm. What beer lover can resist the promise of beer and sugar? 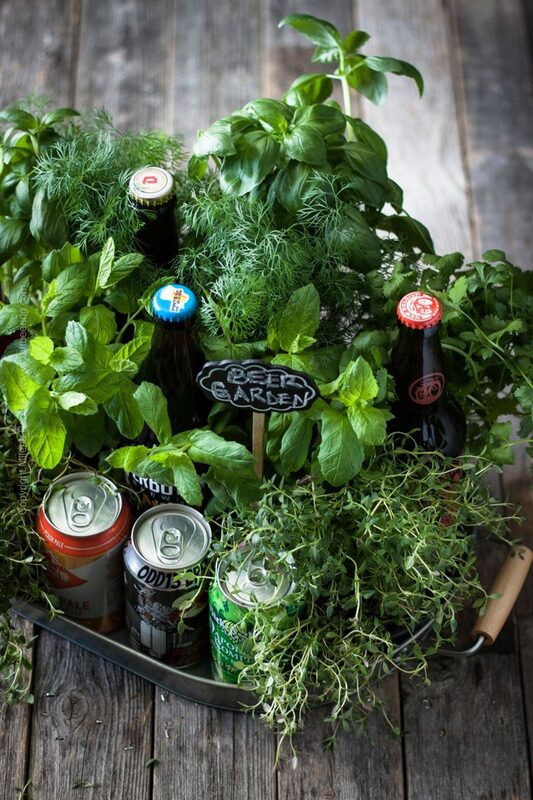 This pun beer garden idea is a total winner, every time. Smiles and giggles are what you will be gifting along with some fine beer. Do not hesitate to sub the herbs with potted flowers. 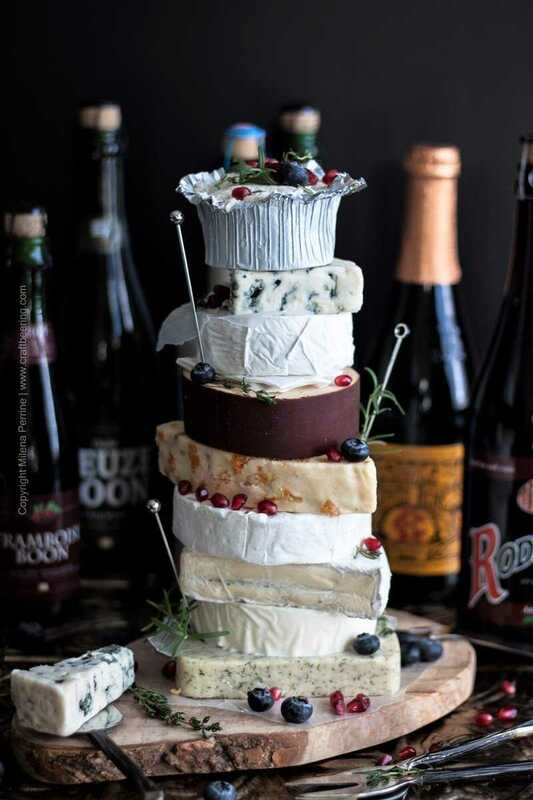 What about getting them a book on beer and cheese pairing (we love Cheese and Beer by Janet Fletcher) along with a few beers and cheese styles for them to enjoy pairing? And to make things even more memorable, why not build a ‘cheesecake’ like this one? 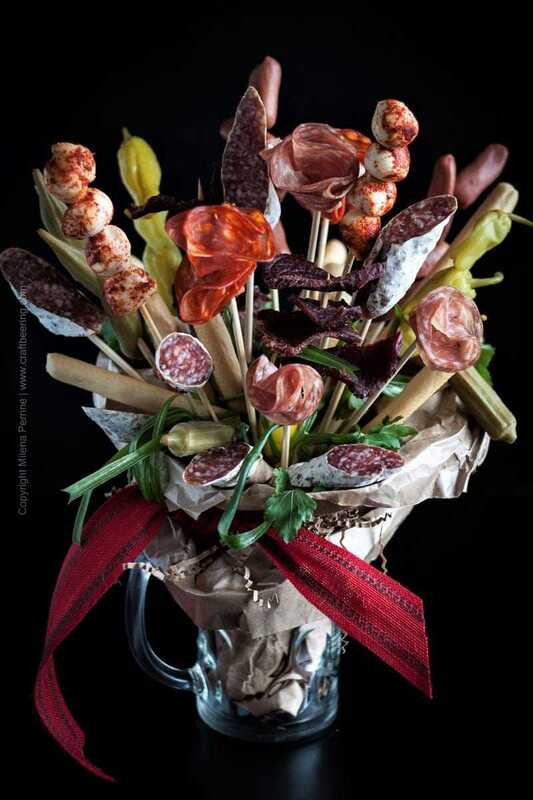 Same concept as above, but create a bouquet with a variety of meats, cheeses and pickles. Select a few of their favorite beers to add to it and you are done! These are most popular with craft beer fans every holiday season and rightfully so. Every December Instagram gets major image infusions with everyone sharing their daily beer surprise! And this is the key element when putting together a beer advent calendar for someone. A beer selection crafted for the tastes and preferences of the recipient, but unknown to them. 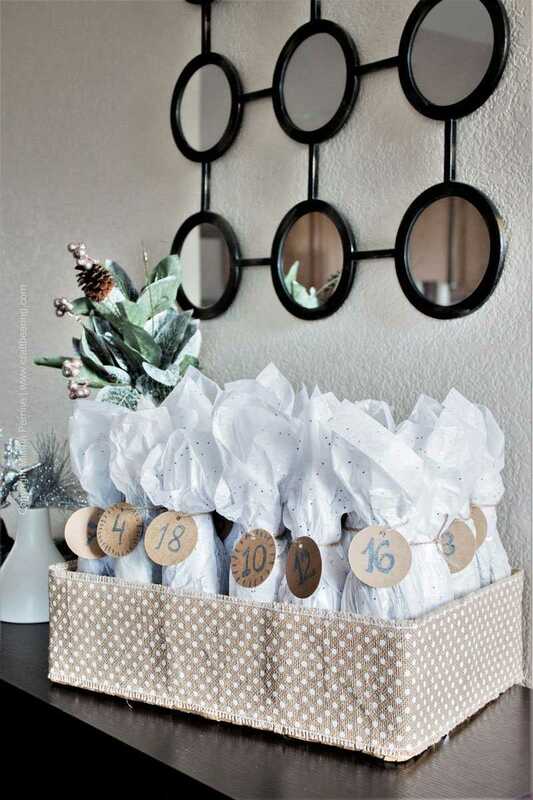 There are any number of ways in which to put one together – from rounding up a few craft supplies to purchasing a pre-made beer advent calendar box and lovingly stuffing it with beer surprises. Best of all – the concept is easily transferable to other times of the year too… You can create the rules – Father’s Day is on such and such date this year? Set up a box with that many beers in it and include a message with each one of them telling the man who raised you about things you are grateful to him for. Or use a different occasion such as a birthday date or anniversary date and go from there. 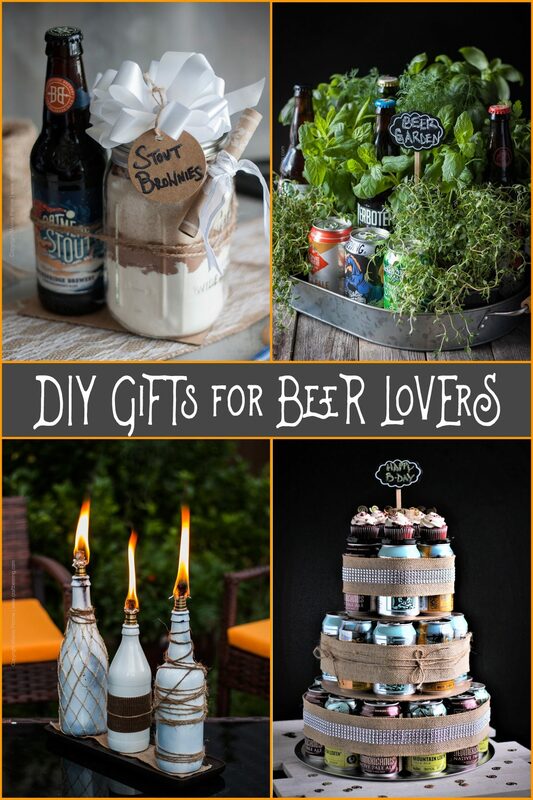 I will periodically update the current list of DIY gifts ideas for beer lovers to include even more options, so mark this page on your browser or follow our related Pinterest board for updates and inspiration. I love clever puns, so your Beer garden gift idea is my favorite! Thank you for linking up with us at the #HomeMattersParty this week. Well, I’ll take the charcuterie bouquet too if that doesn’t sound too greedy! All yours:) I will bring beer. Who ever that receives one of these…super lucky! I love all these DIY gift, the garden is hands down my favorite too!! We are samesies:) I just love the beer garden idea. OH MY! I love these all(!) but the garden and the brownie mix are really speaking to me this morning!! Gorgeous, my friend! Awesomely fun ideas! The “beer garden” is my fave. Visiting from Flaunt It Friday. Seriously, your site has the BEST photography. I’m obsessed with it! 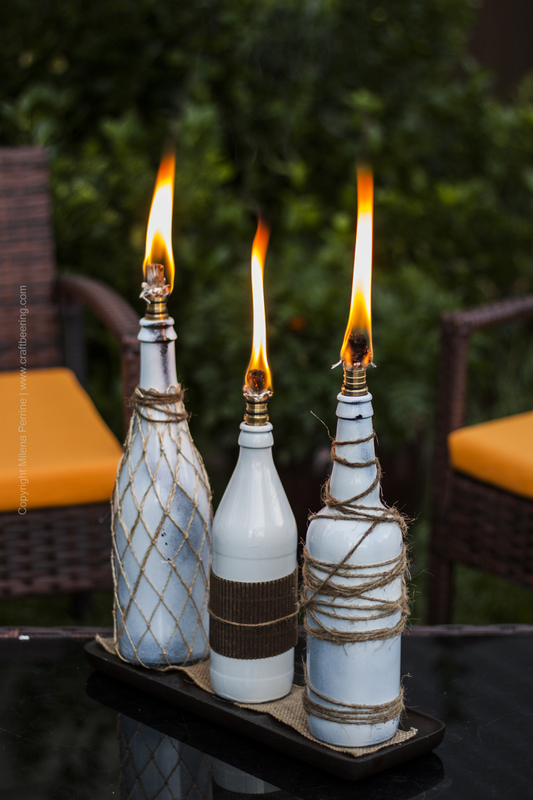 I showed Kieran the tiki beer bottle torches because we are giving our concrete patio a makeover this summer. I think they would be the PERFECT addition since we love beer! So freaking awesome!!! You are so kind:) Flattered by the compliment and so stoked you will try the tiki torches. They are the best! Promise. Only mosquitoes don’t seem to think so, but this is a plus really..